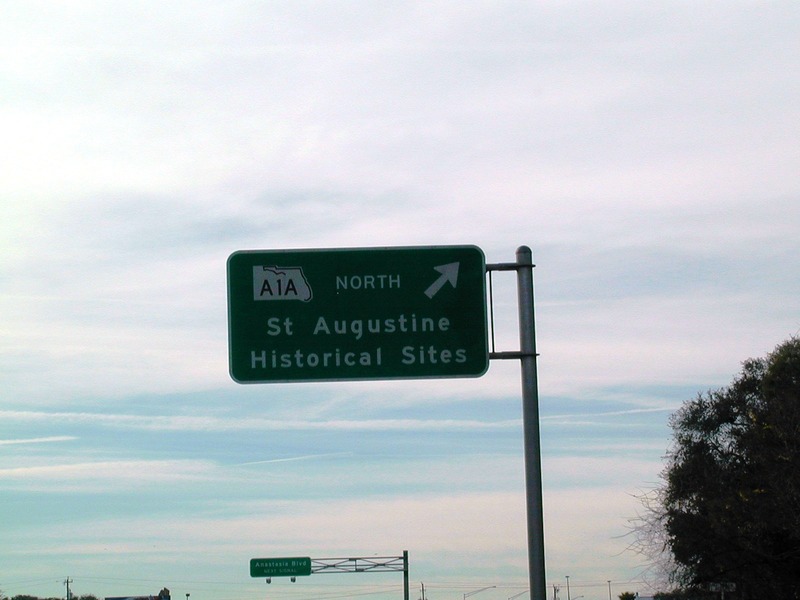 St. John's CR A1A nearing its northern terminus at FL A1A in St. Augustine Beach. 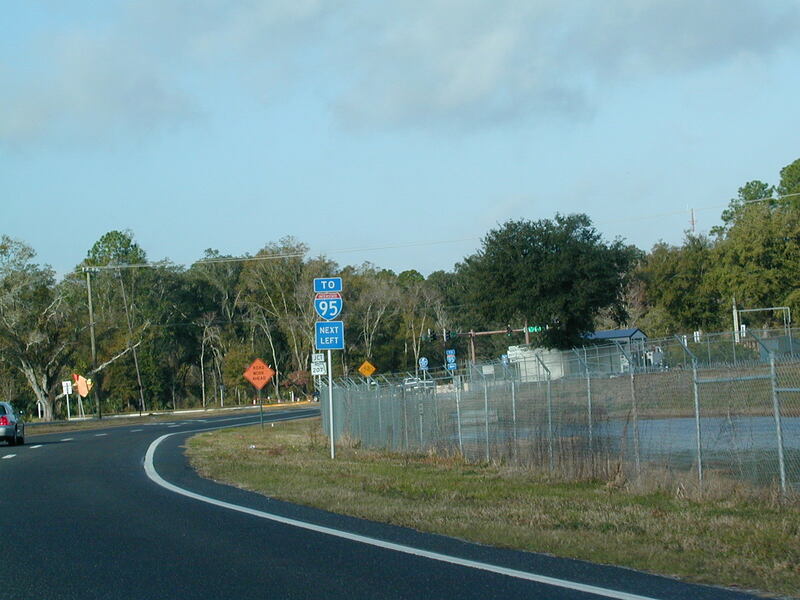 If you continue past FL A1A going west, you are on FL 312. 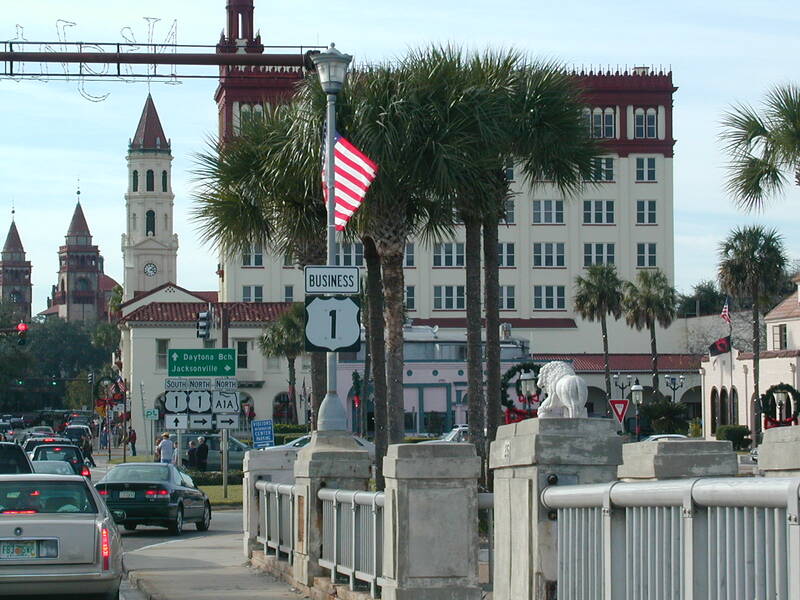 This is FL A1A, Anastasia Blvd., as it prepares to go across the Matanzas River in downtown St. Augustine. This is a busy day for the Bridge of Lions. 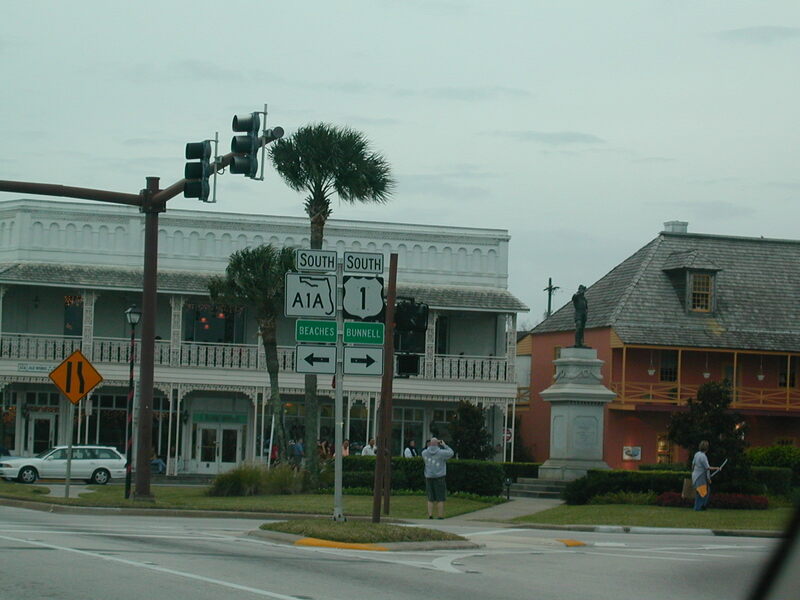 Business US 1 downtown. 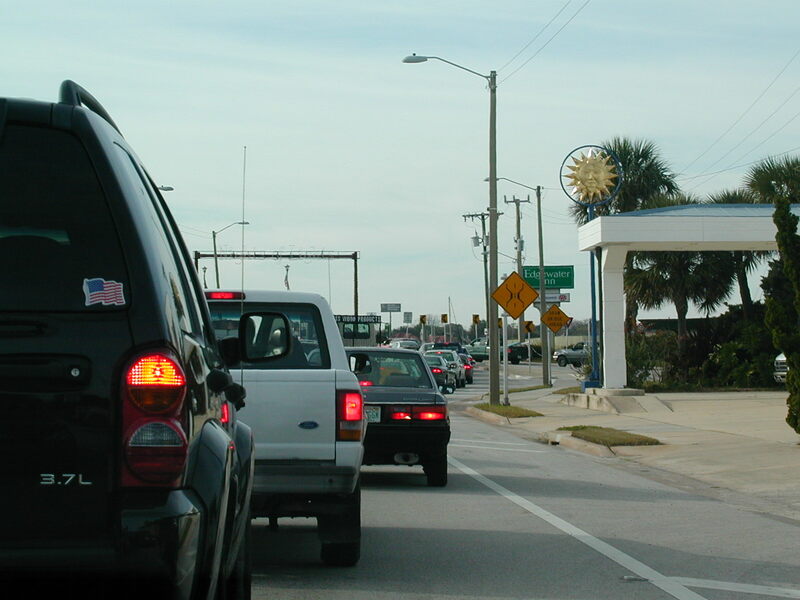 The scene had already changed from a red sign to a standard one by 2002. 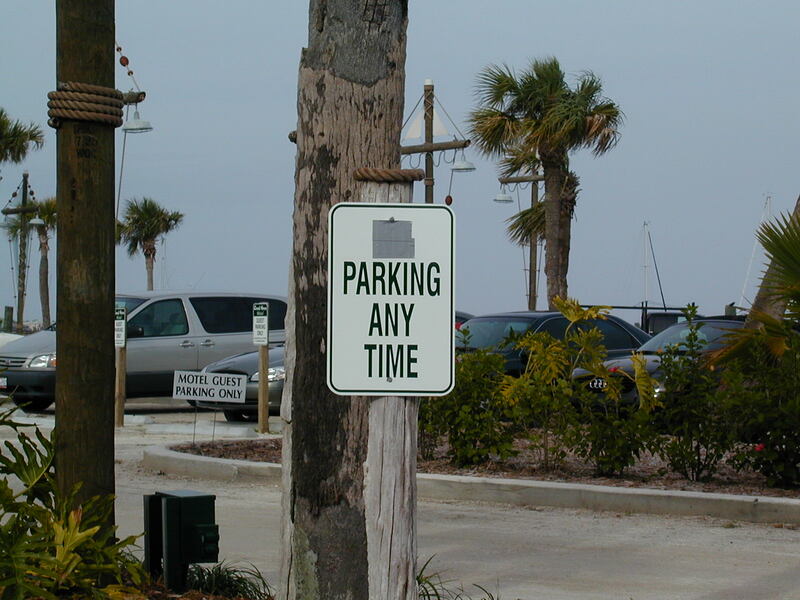 Time to get creative with the parking signs. Bah! 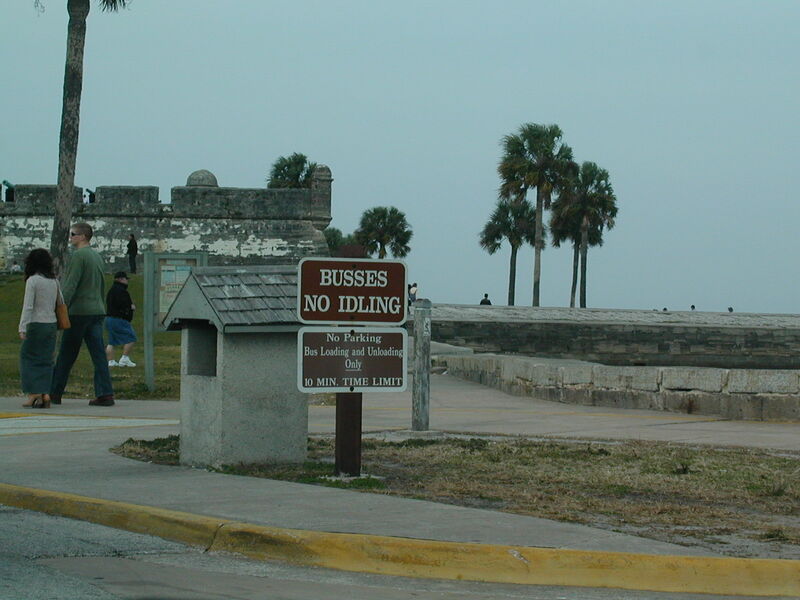 I hate the way they spelled "buses" at the fort! Beaches or Bunnell? 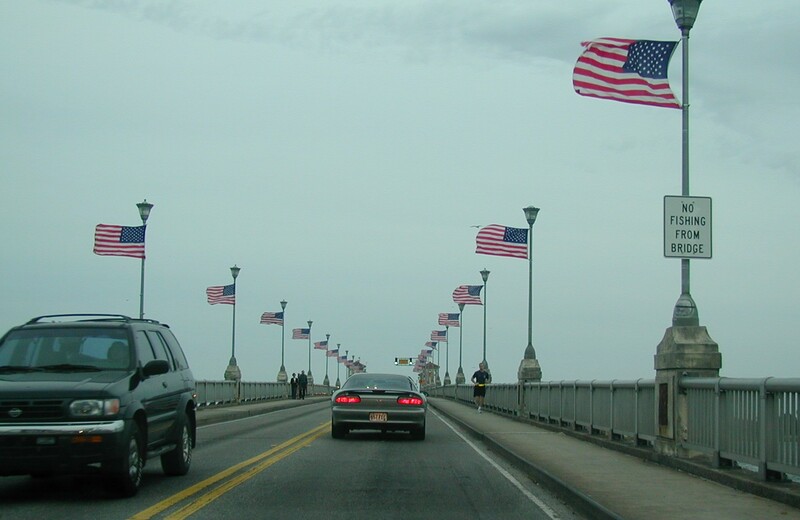 The flags demonstrate the windiness of the day. 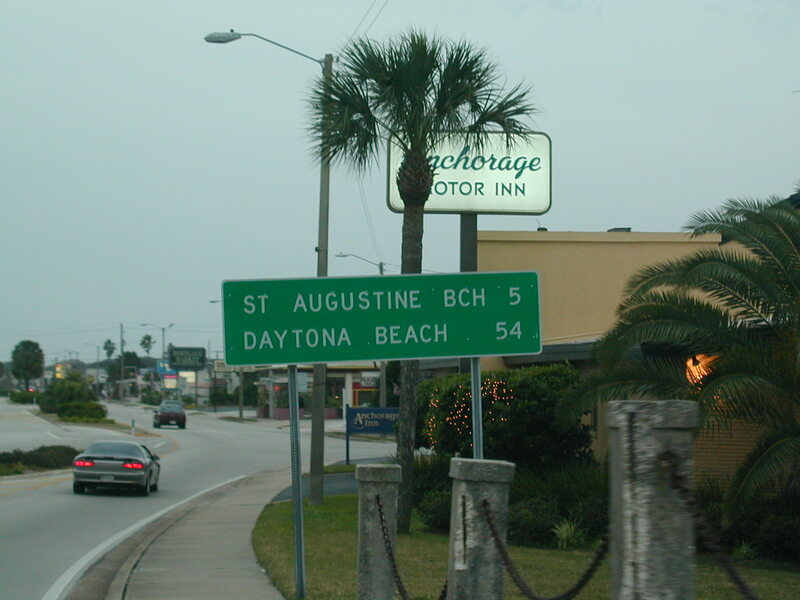 Fifty-four more miles until Daytona! 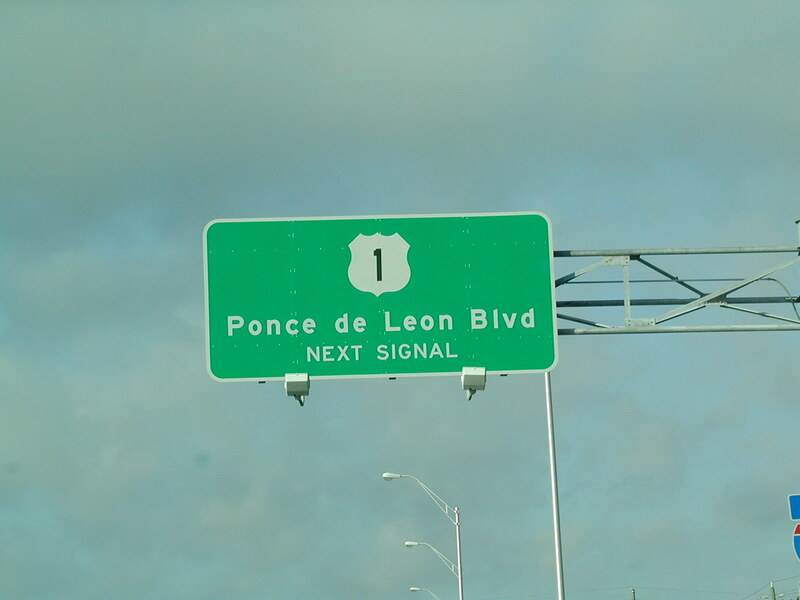 US 1 is Ponce de Leon Blvd., running on the west side of the city. This is the western end of FL 312 at FL 207.